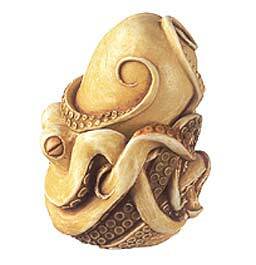 An elegant octopus is the subject of this box figurine. The mouse peaks out from behind one of the tentacles. There are no inner carvings or inscriptions. Interior hallmarks include P or Pc.